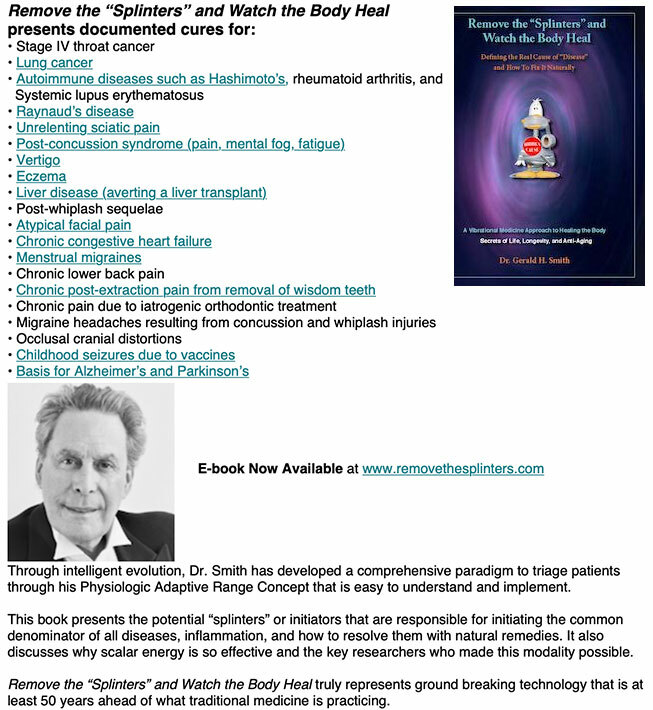 our friend Dr. Gerald Smith, who has been using the Theraphi in his clinic for the last 3 years, has just released a book available as a PDF from his website, based on many case histories and years of clinical practice. 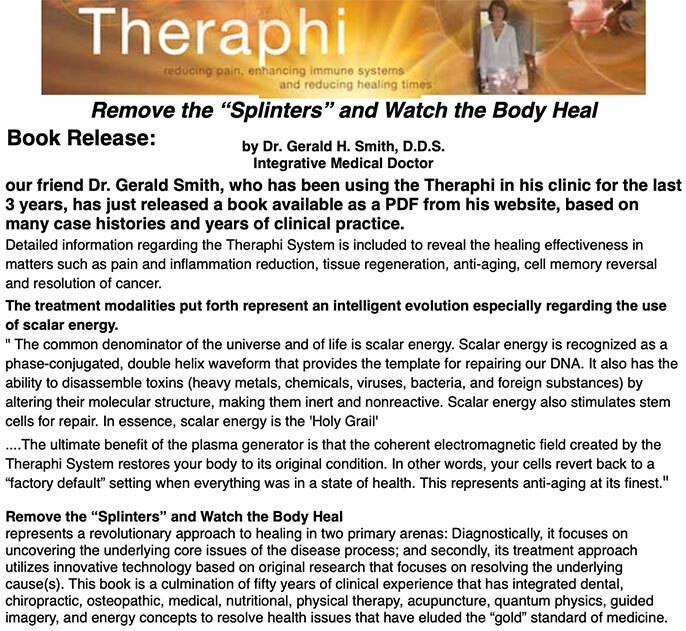 Detailed information regarding the Theraphi System is included to reveal the healing effectiveness in matters such as pain and inflammation reduction, tissue regeneration, anti-aging, cell memory reversal and resolution of cancer. The treatment modalities put forth represent an intelligent evolution especially regarding the use of scalar energy.